Wildfire worked with Ingenia between 2010 and 2014. The engagement began just as Ingenia started commercialising its patented Laser Surface Authentication (LSA) anti-counterfeiting technology that was spun out of Imperial College London. In addition to establishing a start up as a serious player in traditionally conservative and risk-averse markets, the key challenge for the PR campaign was getting around the sensitive nature of much of Ingenia’s work. Operating in such a highly secure industry limited the availability of Ingenia’s customers willing to take part in PR activity or case studies and the PR campaign had to navigate this challenge. Wildfire conducted a phased campaign that grew over the course of the relationship with Ingenia. The initial phase focused purely on promoting LSA as a ground breaking anti-counterfeiting technology, raising awareness of LSA as a technology and creating chances for Ingenia to highlight the main benefits of its unique covert approach to anti-counterfeiting. 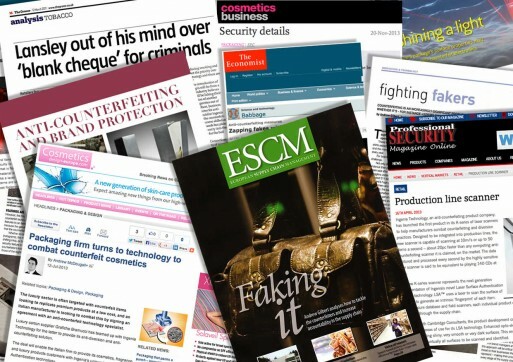 Wildfire targeted key horizontal media in the packaging, security and supply chain sectors with technical articles, introductory briefings and opinion pieces to generate regular high quality coverage. Building on the initial phase Wildfire implemented a more sophisticated second phase to the campaign. This focused on establishing thought leadership platforms for Ingenia – providing opportunities for key spokespeople to talk about bigger picture issues surrounding anti-counterfeiting and building the Ingenia’s credibility as a new company. Wildfire targeted a much broader range of media targets, including brand and business publications, as well as a variety of vertical media covering luxury goods, pharmaceuticals and secure documents. Due to the excellent PR, we have product trials and conversations happening with several tier one prospective customers, plus several potential partners contacting us too, so everything is great, but chaotic!